Members of the PTK honor society hosted an appreciation lunch for the COM maintenance and facilities staff. 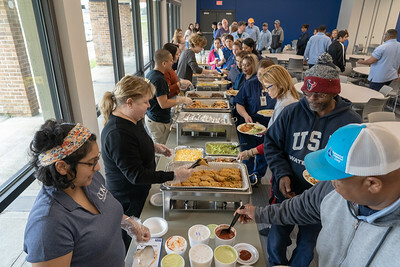 The students served lunch to about 50 staffers in the COM Conference Center. Phi Theta Kappa is an honor society the recognizes academic achievement of community college students. To be eligible for membership, students must have a grade point average of 3.5 or above and have at least 12 college credit hours.